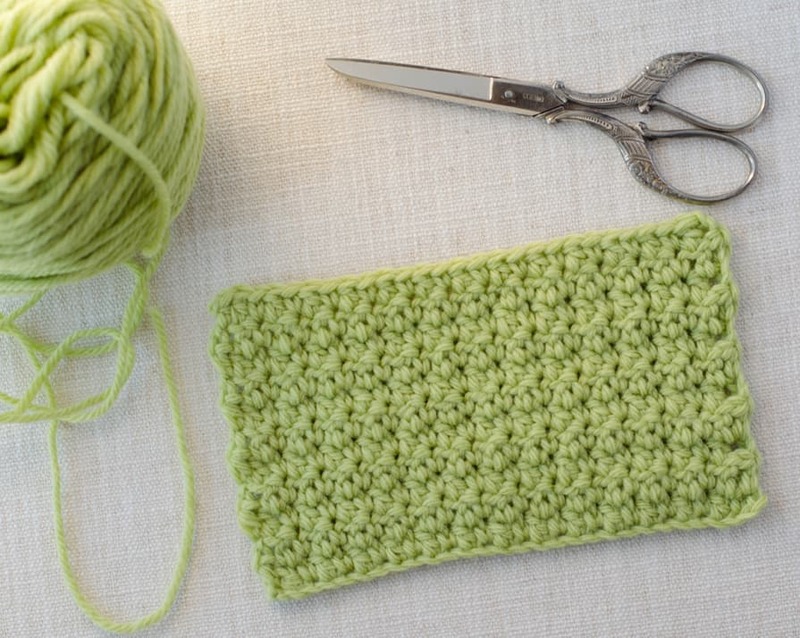 Get ready for another beautiful stitch pattern! 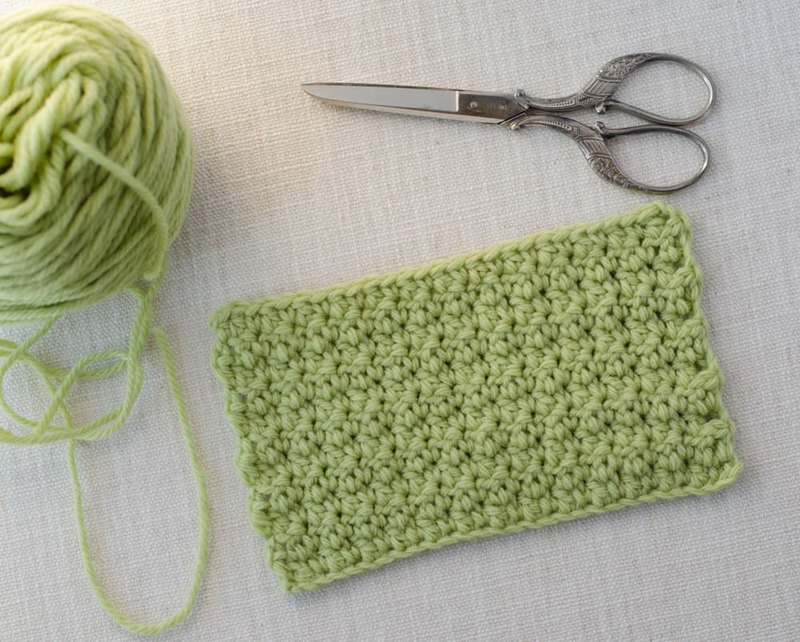 Today we’re learning another easy crochet stitch pattern. 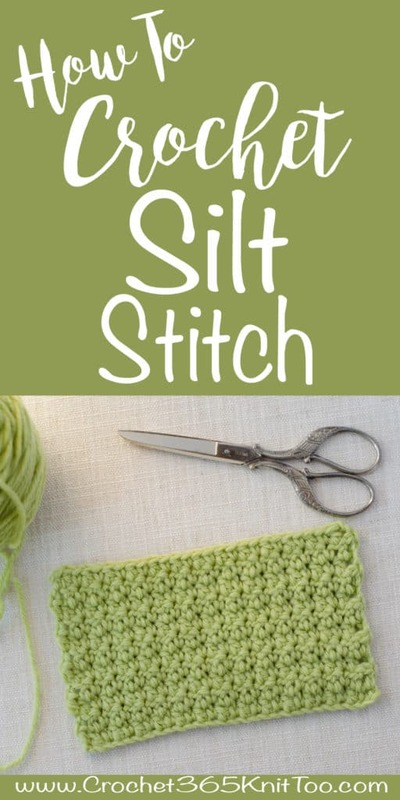 The Silt Stitch is similar to the Soft Moss Stitch. The difference lies in the placement of the sc and dc in the subsequent rows. To crochet the Silt Stitch, the double crochets are worked in the double crochet of the previous row and the single crochets are worked into the single crochet of the previous row. It alternates in the Soft Moss Stitch. This great texture would be equally amazing in a dishcloth or as the main fabric of a sweater, hat or scarf. Be sure to attach hang tags to your swatches so you can remember the stitch you made later. I just purchased these larger hang tags so I can write out the pattern on the back for even easier reference. It’s a great way to remember the stitch as your collection of swatches grows. You can read everything you need to know about stitch swatching here. R1: ch 2 (counts as a hdc here and throughout), skip the 1st hdc, *dc in the next dc, sc in the next sc*, repeat * to * across, ending with a hdc in the top of the turning ch, turn.